Massive Microphone Stand with Boom for Demanding Performances! This Pronomic microphone stand is the right choice when you want strong workmanship, a stable stand and thought-out features for a low price. The MS-15 Pro has a stable, three-legged construction with a strong base for a solid, stable stand. The strong rubber grips ensure that you will have a secure hold without any slipping. With the middle joint and the boom, the stand has a maximum height of 223 cm, making the MS-15 Pro also suitable as an overhead stand. The boom has a length of 81 cm for optimal flexibility and can be adjusted in length and angle with the solid, ergonomic clamps. You also receive a reduction thread to attach any microphone clamp or a spider with a 3/8" or 5/8" thread to the MS-15 Pro. 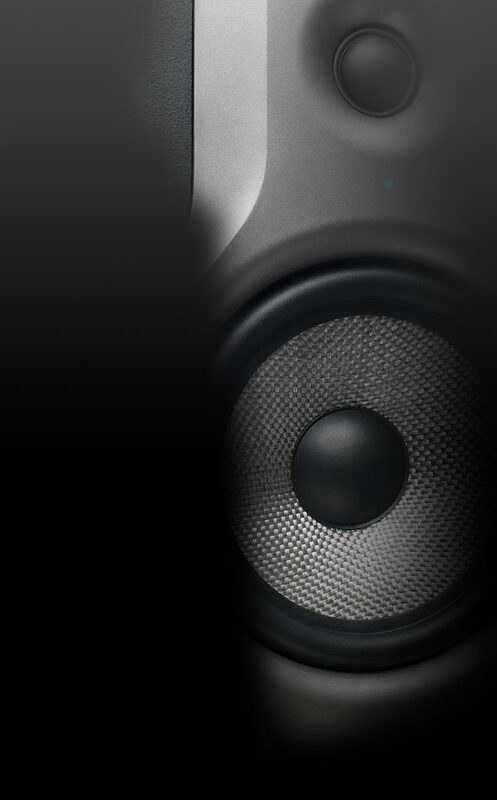 Additionally, two lock nuts assure that the boom attachment and microphone clamps are securely attached to the stand. 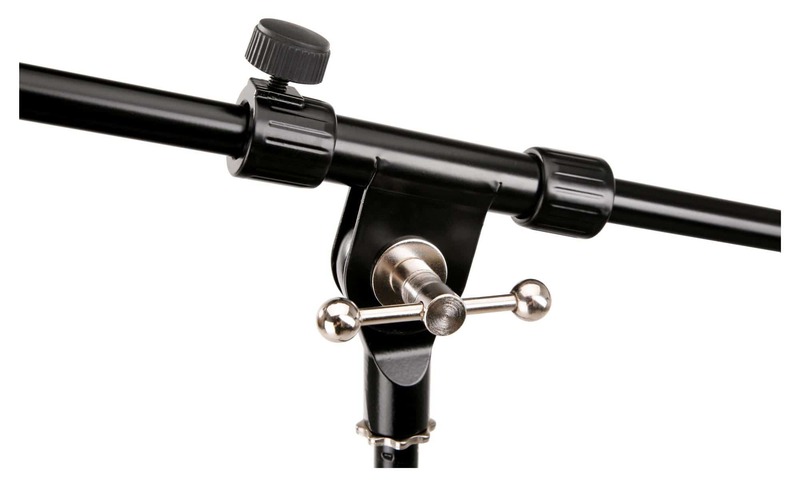 Two standard cable clamps are also included to comfortably attach microphone cables. Then you don't have to worry about wobbling or extra noise, and the stage stays tidy. When folded, the Pronomic MS-15 Pro is just 95 cm long and fits easily in the trunk. An excellent and yet inexpensive tripod for the studio, rehearsal room or stage! Durable bag for microphone stands! Live performances mean that your equipment is under a lot of pressure. Stands are especially affected. The new Classic Cantabile carrying case protects your stand and your other equipment from scratches during transport! 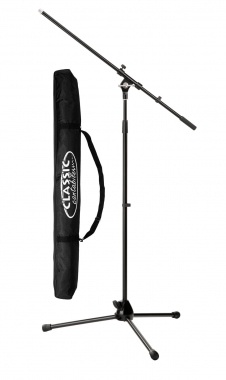 The Classic Cantabile stand bag is made of water-repellent, tear-resistant material and provides optimal for one to two microphone stands. A strong zipper and reinforced shoulder strap provide maximum comfort during transport.